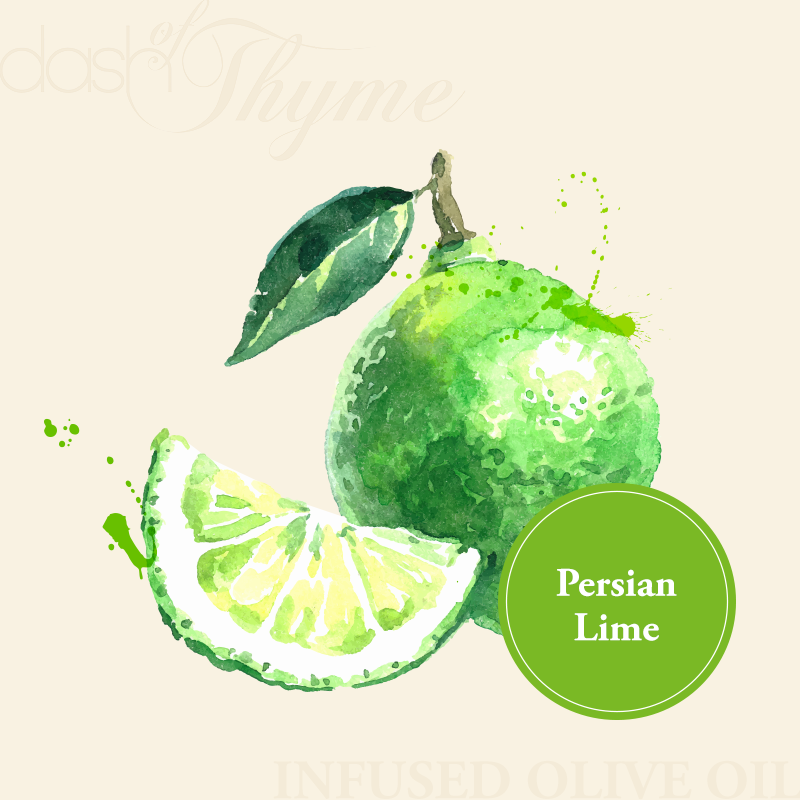 Zesty, fragrant Persian Lime essential oil is married with UP Certified Extra Virgin Olive Oil in this delightful and versatile infused olive oil. Use it almost anywhere! It can lend dramatic flavor to both sweet and savory applications. Think tea cake, biscotti, salad dressings, marinades, drizzled over vegetables, in cakes, aioli, and granola.